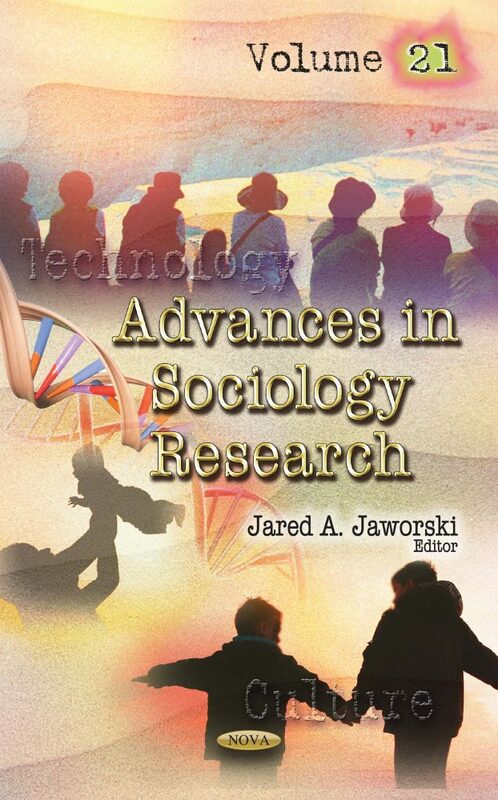 The authors of this book discuss the latest advances in sociology research. Chapter One reviews technology and the place of labor in a future socialist society. Chapter Two focuses on YouTube users from different cultural markets with the purpose of identifying their patterns of behavior in relation to gender, age and the main activities (uses) performed through this digital medium. Chapter Three presents studies which suggest that evolutionary models of direct reciprocity and indirect reciprocity both partially explain gift exchange and record keeping in various cultures. Chapter Four analyzes social class and divorce behaviors. Chapter Five explores the spatial relations of grief, loss, memory and accomplishment through the growing phenomenon of sports-based charity challenges. Chapter Six discusses the prospects and challenges for civil society in contemporary Iran. Chapter Seven reviews a case study of locally unwanted land use activism in Hong Kong to explain participation in social movements. Chapter Eight provides a historical case study from North-west Nigeria to explain pioneering resettlement during a time of crisis and hardship.